We’re a PVP/Economy server with a rich array of over 100+ plugins. Including custom plugins such as a dynamic Stock Market to invest your hard earned money and 24 hour open games such as Mob Arena and Spleef. 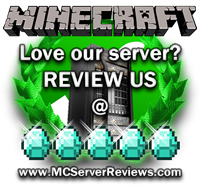 Our admin staff are all over 21+ and with a powerful server that will make your time with us enjoyable whether you like PVP’ing or making money. There are 1 Positive and 0 Negative reviews of “The Rise” sorted by most recent. I got on this server and i was vary wellcomed. the first thing i did was read the it told me every thing i needed. then i tolk a test. it is the best way to make shor everytone knows the rules and after i passed everyone was very nice and helpfull exsept for one person. his user name was Lanzcline710. he was very rude kinda a jurk ,but thats just my opinion though. otherwise everyone was nice!huge map and i think that with more peoples help it can be a grate server. 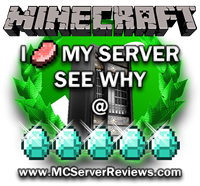 I would recomend this sever to others! Did you remember to add in your diamond score on the right? By clicking submit, you agreed to the rules and are using or have played on The Rise.